January seems like a good time to address the different things that make us human, and to show the differences between us. The award-winning team behind Real-life Mysteries have produced a new series called Geographics, which aims to show intriguing geographical facts with dynamic infographics design. Geographics: Humans certainly is appealing. A thin book with a sturdy paperback cover, the book is bright and colourful throughout. It is quirky too, in that this isn’t just a fact book of information, but aims to provide guidance too. There is typical geography information, such as on the page entitled ‘Where We Live’, and this shows the world at night with the lights indicating population, and shows the most populated cities, and the least, and the spread of humans around coastlines and in the Northern hemisphere. Following pages have information on water, resources, transportation, power and inventions, but there is also guidance on recycling and communication. 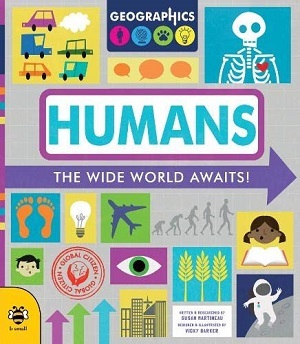 This is a wonderful first approach to human geography, which despite its small size, reaches further than most – using its vibrancy to illuminate facts and the author’s emotional intelligence to promote the idea of being a global citizen, understanding and caring for the planet on which we live. I’m proud to have absorbed the information within easily, and have learnt facts including: more people have a mobile phone than a toilet, and Papua New Guinea has 841 living languages. You can buy it here. It’s not just our impact on the Earth but our impact on each other. 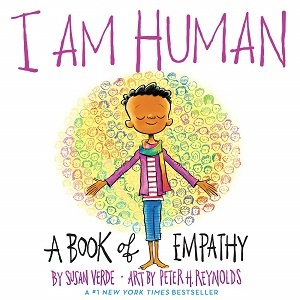 I am Human: A Book of Empathy by Susan Verde, art by Peter H Reynolds aims to explore, through simple illustrations and text, the idea of who we are inside ourselves – a person who is always learning, with dreams and hopes, but also one who makes mistakes and feels pain and fear and sadness. The third part of the book aims to show the choices available – to be kind and fair, to forgive and move forward – in essence to show empathy. 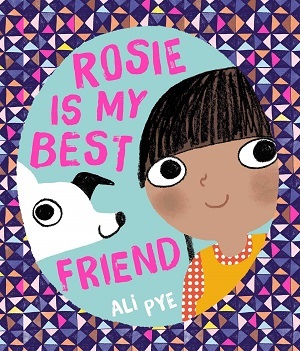 The book is about being the best human you can be, reminding children that they are unique at the same time as belonging to the human race, in which there is familiarity. Reynolds’ line drawings bring to life this manual for living. The people are diverse and different, yet similar in their thin legs and neat noses. They feel vivacious and active, even when they are blue in both feeling and colour: fear is represented as a huge ladder stretching to the unknown, sadness is a boy sitting on a ledge – followed swiftly by him standing, arms outstretched, hope on his face as he makes a new choice. There is a wonderful empathy that Reynolds delineates in his expression. In it’s ability to showcase both self-worth and caring for others, this serves as a good guide in both home and school, for children and adults. You can buy it here. 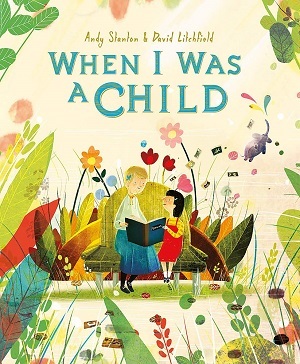 When I was a Child by Andy Stanton and David Litchfield is a picturebook that also uses colour wisely, bursting with a zest for nature and life, as it aims to show how humans can embrace the world around them. 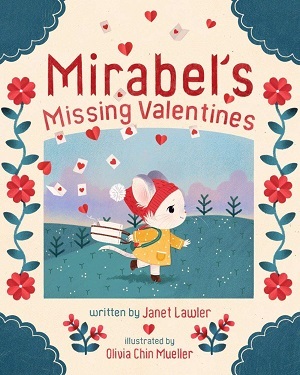 Ostensibly a book about a child aiming to show her grandmother that the world is still magical, and that wonder still exists, this is also an exploration of imagination and curiosity bearing a subtle environmental message. The grandmother believes that her world is now grey, but through the child’s eyes, through her innocent wisdom, we see that what we have lost sight of as we grow older is still abundant if seen through the eyes of the child. The prose is poetic: faces in raindrops and heartbeats in mountains, but once again it is the power of the illustrations that lifts the book. Litchfield brings his remarkable talent for different perspectives and clever use of light to insert his own magic on each spread. Whether it’s a parade of people in a sunrise, with the light flooding translucently through the leaves on the page, or the underwater fragmented light shimmer of a layered background as strange and wondrous horse fish swim through the river, there is both a lifting and lightness to the colourful illustrations. Each drawing pulsates with imagination in a kind of modern dreamlike wonderland, the book getting more and more fantastical as it progresses. 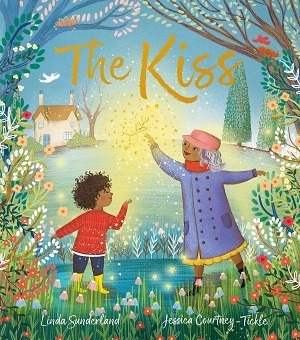 This is an enchanting book about humanity – encouraging intergenerational relationships, wonder in the world around us, and also the power of the imagination to soar and grow. A rainbow of images and prose. You can buy it here . Lastly, it would not be right to explore humans and humanity without one in-depth look inside the body. 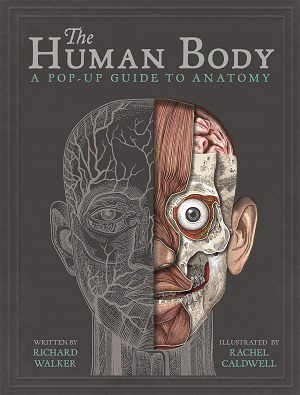 This comprehensive, somewhat gruesome, guide to the human body invites the reader to venture on a real post-mortem examination, cleverly using paper engineering so that the reader can look beneath body parts – my favourite section definitely the abdomen, in which you can open up the body to see the kidneys and small intestine from different angles. The illustrations feel old-school, traditional, multi-layered in their detail (each is highly captioned to show which body part is which), and also with instruments pencil-sketched too, so that the scalpel and tweezers lie happily next to the body. The book explains the different systems of the body – circulatory, respiratory etc, with keen observation and elucidation. Sentences are short and sweet, keeping it simple without numerous subclauses interrupting the information, and it feels matter-of-fact and clear. You can lift the blood spatter to see it under a microscope, or open the heart to see how it works. Each tooth has been extracted so that they can be labelled, and the thorax can be opened in many layers to explore the ribs, lungs and heart. There’s even opportunity to remove the skin from the upper arm and shoulder to see the muscles underneath. This is a thoroughly enjoyable way to be educated on the human body and how it works, and a beautifully stylised well-thought-out book. You can buy it here .